GOOD FRIENDS, FOOD & FUN! ​Good Friends, Food & Fun! Follow The Morgan Inn on Facebook! Topped with Cheese Sauce, Olives, Jalapeños & Lettuce. Served with Salsa & Sour Cream. A Spring Mix Topped with Onions, Peppers, Mushrooms, Carrots, Cucumbers & Tomatoes. Served with your choice of dressing. Romaine tossed in Caesar dressing & Parmesan, topped with Croutons. Crisp chunks of Iceberg topped with Bacon, Tomatoes, Crumble Blue Cheese, & Bleu Cheese Dressing. Romaine topped with Bacon, Tomatoes, Cheddar Cheese & Ranch Dressing. Romaine topped with Buffalo Chicken Tenders, Tortillas, Cheddar Cheese, Peppers, Tomatoes, Carrots & Onions. Ranch Dressing & Salsa. Add Protein to Any Salad! +1.50 - Add an Egg to your Burger! Build Your Own Burger with our Selection of Toppings. * Consuming Raw or Undercooked Meats, Poultry, Seafood or Eggs may Increase your risk of Food-Borne Illness. 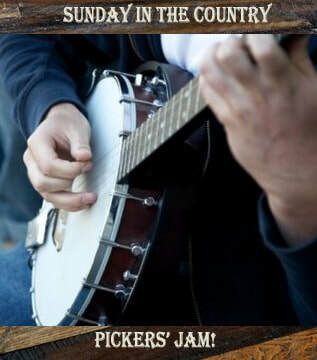 ​ playing some good tunes. Very laid back atmosphere... enjoyed our visit. Juicy 12 oz. T-Bone Steak cooked to order, served with a side of Fresh Cut Fries and a Side Salad with Dressing of your choice. 2 Golden Brown Jumbo Lump Crab Cakes, sprinkled with Old Bay and Served with a side of Hush Puppies and a Side Salad with Dressing of Your Choice. 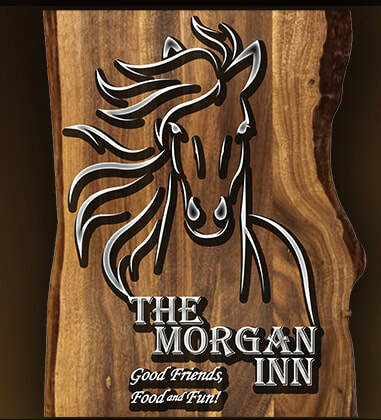 ​ Come to The Morgan Inn ... for Good Friends, Food and Fun!